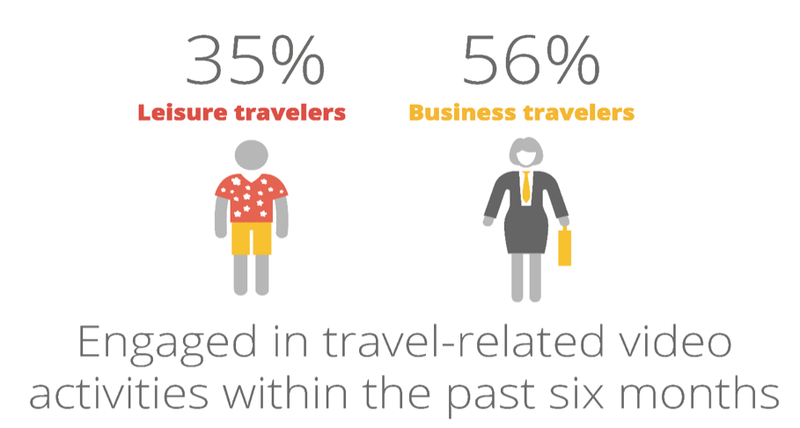 Google recently presented the findings of its 2014 Traveler Study in a one hour webinar. Last week, we covered the data on the mobile behaviors of travelers, where it was found that it is crucial for hotels to maintain both a mobile-optimized site and a native app. The data covered a wide range of topics, including mobile behaviors, inspiration, travel research, mobile behaviors, TV and online video engagement, and family travel. The webinar was hosted by Katy Galambos, Google’s Industry Analyst for Travel. This week, we’ve got the highlights with regards to travelers and their online video engagement. Most travelers don’t watch commercials. 97% of travelers who watch online video did so within the last month. Online videos are viewed throughout the travel planning process. Google found that online travel-related videos are highly influential during the travel planning process. Among travelers who watched/commented on travel-related videos, 65% of watched travel-related video when choosing a destination, and 54% watched travel-related video when deciding on accommodations at a particular destination. Online videos from brands are viewed by more than half of travelers. Among those who watched/commented on travel-related video, 53% of leisure travelers and 64% of business travelers watched videos from brands like hotels, airlines, cruises, tours, etc. Galambos also noted that a hotel’s video strategy should diversify their strategies and include user-generated content. “Lots of different types of videos resonate very well among all types of travelers. But we do see a particular interest in videos from ‘people like me.’ User-generated videos are often perceived as more authentic,” she says. 1. Online video is key for travel inspiration and planning. People are inspired primarily by online resources, most especially through social and video sites, so it’s important that your hotel be represented on these sites. The good news is, video production isn’t as expensive as it used to be and there is an option for every budget. 2. Personal touches and storytelling are important to traveler engagement. Travelers are engaging less and less with traditional marketing tactics like TV commercials. Your marketing department should take into account user behaviors, and engage with guests in a targeted way in order for marketing to be effective. Also, user-generated content is highly effective. Hotel marketers should have a strategy for leveraging the content that guests post online about their properties.